Rhona Lyons focuses on Employee Benefits in the context of jointly administered Welfare and Pension Plans. She is licensed to practice law in Missouri, Illinois and Ohio (currently on inactive status) and is admitted to practice in the United States District Courts for the Eastern District of Missouri, the Western District of Missouri, the Southern District of Illinois and the Central District of Illinois as well as the Eighth Circuit Court of Appeals. 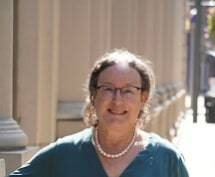 Rhona is active in the Employee Benefits Committee (chapter editor for Employee Benefits Law (ABA/BNA)) and is a past union co-chair of the Technology Committee of the Labor and Employment Section of the ABA and a co-editor of the ABA treatise on Workplace Data: Law and Litigation. Rhona is also member of the Employee Benefits Committee of BAMSL, the International Foundation of Employee Benefit Plans, and the AFL-CIO, Lawyers Coordinating Committee. Rhona has presented at ABA, BAMSL, LCC, International Foundation, and other meetings on various pension and welfare topics as well as general ERISA and fiduciary issues. She was inducted into the American College of Employee Benefits Counsel in September 2016. Rhona received her law degree from the University of Missouri-Columbia in 1986 (Order of the Coif) where she was on the Law Review and published an article on environmental law. Rhona received her LLM in tax law from Washington University School of Law in 1999. Out of the office, Rhona is on the boards of Jews United for Justice and Circus Harmony, a social circus located in St. Louis.